Hi guys! Hope your week is going well for you. So far so good here. School is still in session up here, but they days are winding down. I think my son is ready for the school year to end. He is only in Pre-K, but I think a break is due. 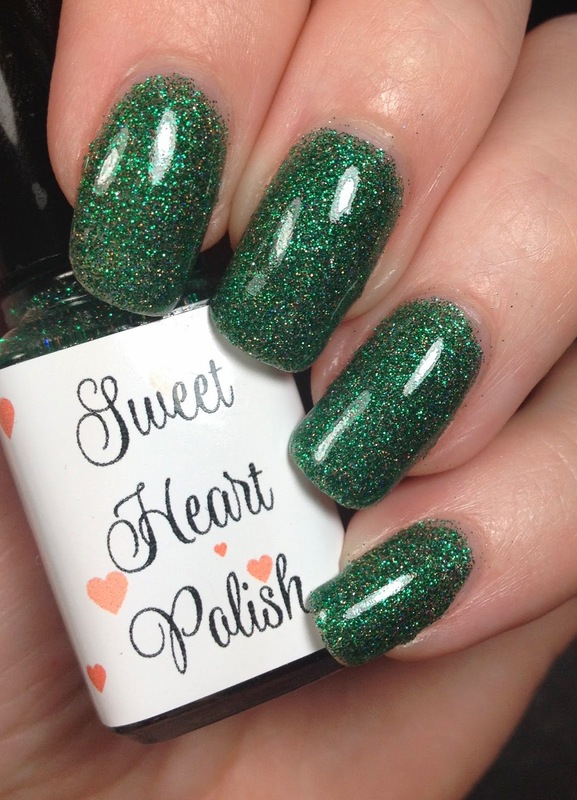 Today I have three polishes that I was sent from Sweet Heart Polish. All three are beautiful but two of them are absolutely perfect for me. To those who know me they will know exactly what I mean. One word: Disney. That's right, two of these are inspired by my main mouse. First up is Bow-tique Pink, this is three thin coats and topped with Glisten and Glow HK Girl topcoat. 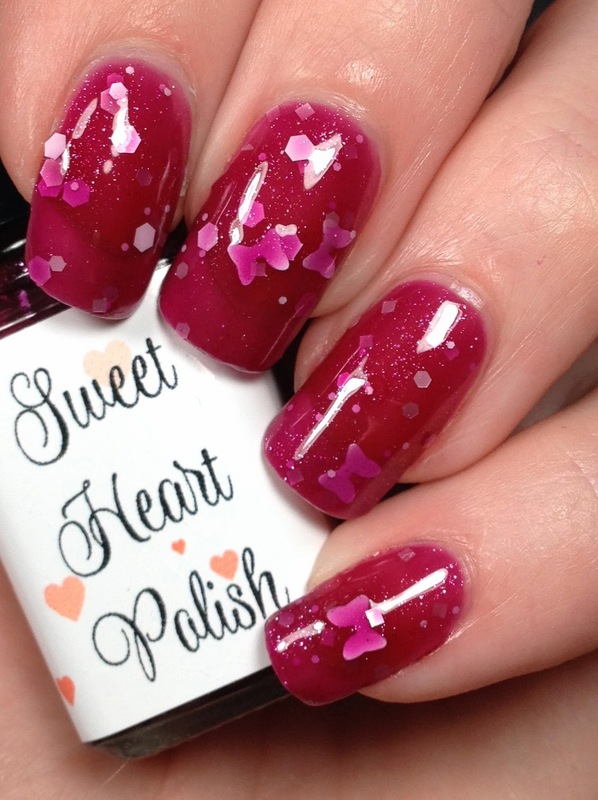 Sweet Heart Polish has this listed as a mix of white glitter and white bows in a berry colored jelly base. That is such a perfect description for it. It is such a lovely berry color. It is a jelly because as you can see in the photos, there is visible nail line. I only had to dig a little to get the bows out, and that wasn't even a lot. They came out pretty easily. I was presently surprised with the color, I thought I was going to need to layer it on top of something, but I was happy with how it turned out. The formula was good on this one. Next is my personal favorite out of the three, Red, White and Mickey. LOVE THIS!!!!! So so so much. 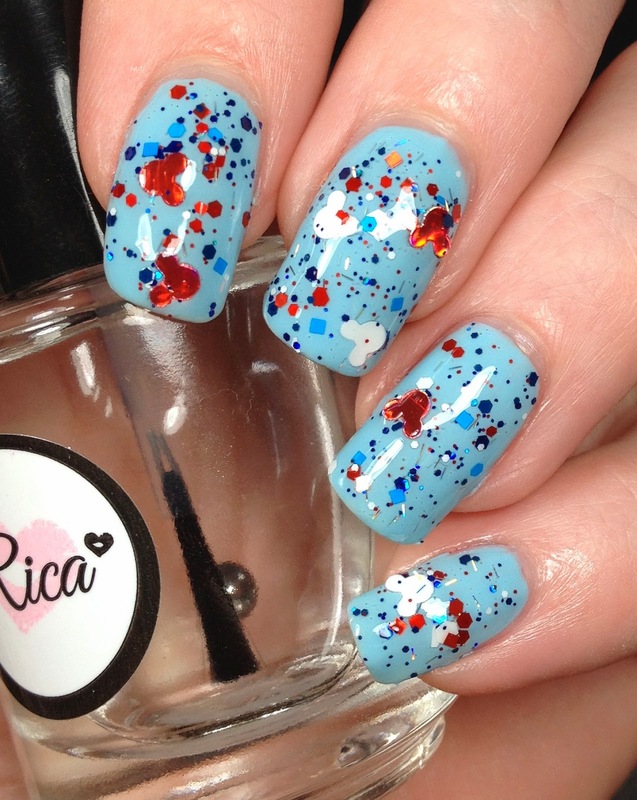 This is listed as red white and blue glitter with white, holographic red and blue mouse heads. 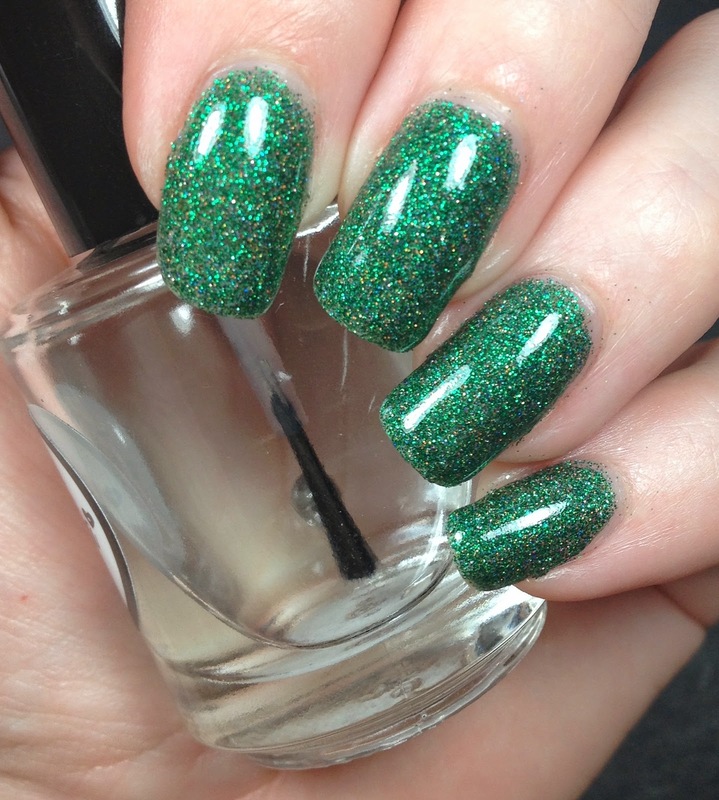 There is also some holographic bar glitter in there, teeny stuff not huge stuff. 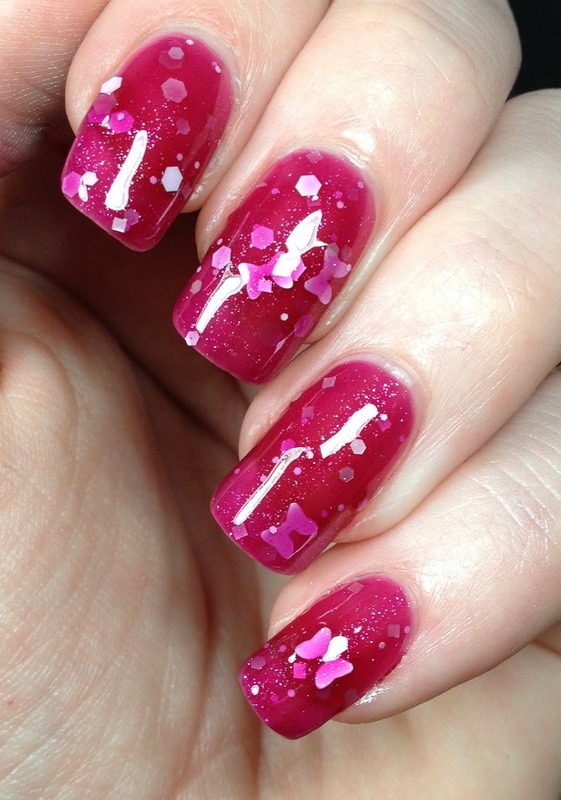 I used two coats of Red, White and Mickey over two coats of Bright Lucite from Sinful Colors and topped with HK Girl. You can tell from the amount of Mickey heads that getting those out of the bottle was not a problem. Great formula on this one! Last up is Luke. 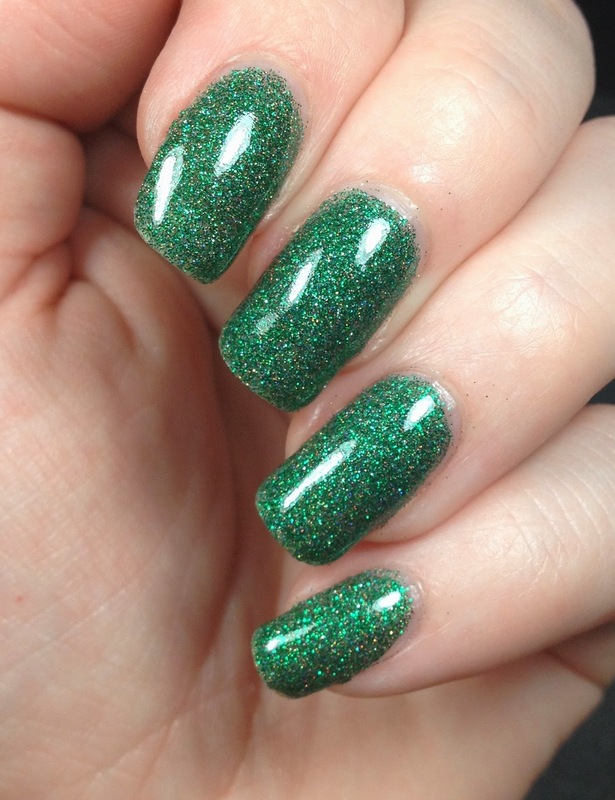 Luke is a micro glitter polish that is PACKED full of green micro glitter with some holographic glitter in there too. I used four thin coats here because I wanted it to be opaque on it's own and I topped it with HK Girl. Obviously you would not need as much if you were to layer it. Formula was great. I really enjoyed all of these and I will be wearing the Mickey one for 4th of July. SO perfect for that. I may even wear it to Disney World. 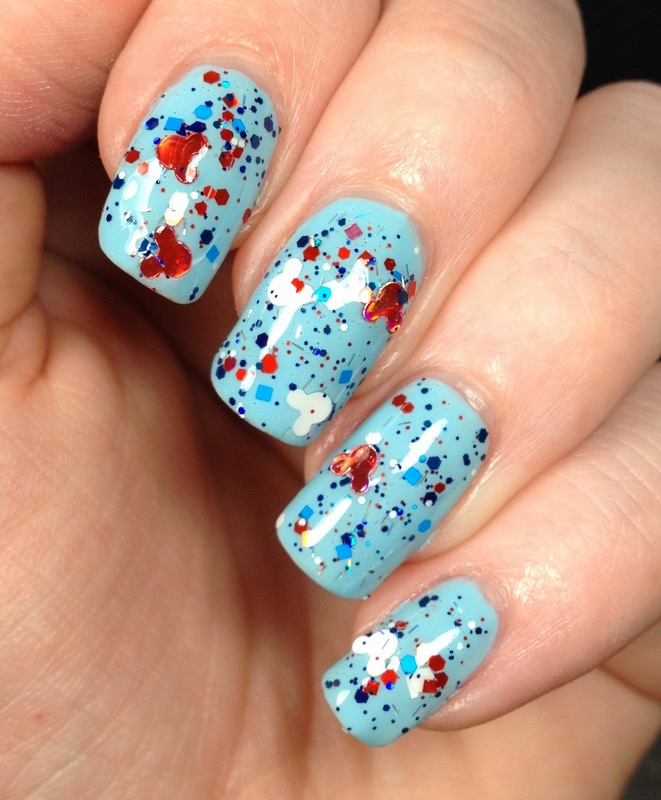 Would you rock the mouse on your nails? These are nice! I love how both glitters have such cute glitter pieces in them too. I like the cute glitter too! The little bows! My heart is melting. I really like Bow-tique Pink! The bows!!! I want to try it layered over something now!